The unique properties of cast iron allow for impeccable charring and an even distribution of heat. They can be used on the stovetop and are safe to put in the oven, which makes for a seamless transition if, for example, you are searing and then broiling a meat dish. They are also remarkably durable. However, proper care is essential if you plan on handing your cast iron cookware down to your children and grandchildren. Cast iron skillets should be “seasoned” before use. To do this, you add fat – typically oil – to the surface of the pan and heat it in the oven. After you’ve wiped away the excess, the skillet is ready to use and has a natural non-stick coating. Whenever you feel like food is sticking to the bottom and sides of the pan, it’s time to re-season! We’ve broken this article down into two sections: traditional cast iron and enameled cast iron. As the name would suggest, enameled cast iron is coated with a protective layer of enamel. This coating does not require the same seasoning technique as traditional cast iron and can typically be cleaned in a dishwasher. However, skillets with this coating do tend to be more expensive than traditional cast iron cookware. All of the information in this article, including the “final thoughts” section at the end, is based on consumer feedback. We are not connected to any of the manufacturers and present the products in no particular order. Do you use a cast iron skillet in your kitchen? If so, we’d love to hear from you. Tell us why you love it and what brand of cookware you prefer in the comments section below this article. This cast iron skillet is four inches deep to allow for better frying and cooking larger meals. Though it’s relatively inexpensive, this model has a rough surface that may take a bit more work to season properly. While the larger size of this skillet makes it heavy and difficult to move, the assistance handle helps to ease this concern. Also, reviewers are very impressed with the durability, and once seasoned, reviewers claim it performs well. It may also be of note that the 10.25” measurement refers to the diameter of the top of the skillet; the bottom diameter is slightly smaller as the edges slope for better accessibility to food during cooking. This Lodge skillet has compartments to make perfectly cut cornbread or other baked goods, and it is inexpensive, so while it may not be as versatile for cooking as a standard cast iron skillet, it doesn’t cost a lot of extra money. However, if it is not properly seasoned, cleanup may be a lot more difficult, due to the small compartments for each slice of cornbread. Reviewers love that they can make smaller batches by not filling in every compartment, but reviewers also note that the pan isn’t very tall, making it easy to accidentally overfill. Ultimately, it works perfectly for cornbread and other baked goods, as well. This oversized cast iron skillet is ideal for big meals, and the price is very low for such a large skillet. The 17” diameter offers a huge amount of cooking surface, but for those with smaller ovens and stovetops, it may prove difficult to use. To help remedy its awkward size, the double loop handles make it easier to move around, but this is a very heavy product. 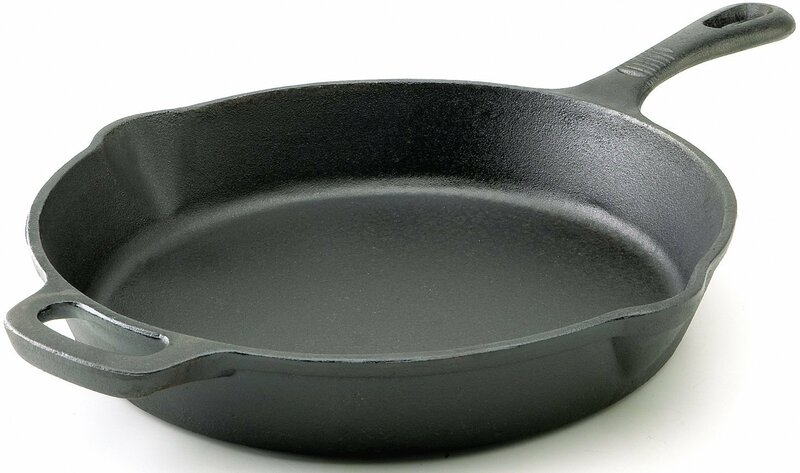 Additionally, a small number of reviewer claim there are defects that leave the bottom slightly bowed, which can cause oils to pool in the middle of the skillet. While it comes pre-seasoned, and many reviewers were able to use it immediately, others stated that it benefits from being re-seasoned prior to use. Ultimately, when a large cooking surface is a must, this model is a favourite. The Lodge Classic Cast Iron Skillet is a standard cast iron skillet that comes in sizes ranging from 3.5” up to 15,” providing a full range of options. Additionally, all models come pre-seasoned, though the coarse finish is especially troublesome to reviewers. A rough finish makes seasoning difficult, in comparison to smoother options, and it can also make it difficult to move the spatula across the bottom of a skillet with a particularly bad finish. 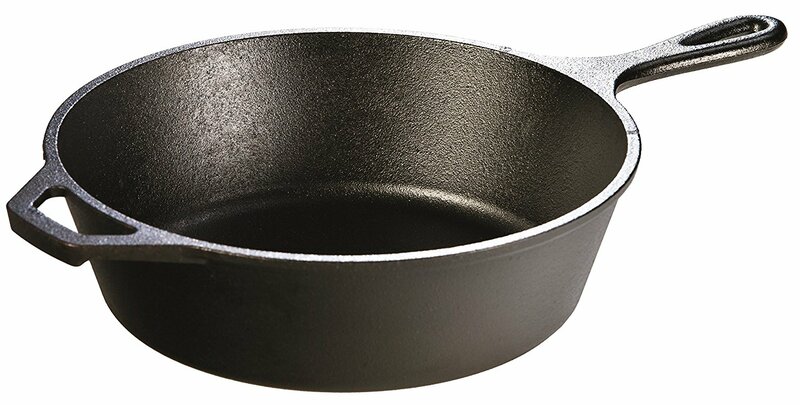 Reviewers also consistently note that this particular skillet is heavier than most, but several claim that the assist handle, available on all models 10.25” and larger, makes it relatively easy to transport. Despite some complaints, the low price, high durability and impressive versatility of Lodge cast iron skillets are why they hold an overwhelming size of the market. Consumers are pleased with the high performance and durability this skillet offers for a low price point. In terms of durability, it can handle high levels of heat, and it works well with practically all conventional cooking surfaces and ovens, other than glass cooktops. It comes pre-seasoned, but reviewers claim that it may need additional seasoning to become completely non-stick. The coarse finish makes seasoning a little difficult, but these issues will disappear as the skillet is seasoned after a few meals. On the positive end, the sloped sides allow for easy access to foods and there are options for a perfect-fit lid and a silicon handle holder for easier transport while hot. Additionally, the 12” size is ample for most applications, and an assist handle makes it easier to move around. This is considered an updated version of the Lodge L10SK3, mentioned above, and it is one of the most popular options on the market. This low-price skillet comes pre-seasoned to help avoid rust and make for quicker cooking, but many reviewers claim that it will need to be re-seasoned very frequently. Also of note, this skillet is a lot lighter than most cast iron, which is helpful for transport, but the overall quality is also less impressive than other options. However, the rough finish makes seasoning and cleaning more difficult, and sometimes the finish is so rough that there are sharp bumps on the surface. Despite some flaws, the 12” diameter allows for cooking large meals, and all things considered, this truly meets the requirements for cast iron skillets despite being a value brand. The major perks of this skillet are the low price point and the angled edges that allow for easy access to food. Also, the pour spout makes it simple to remove excess oil, and this skillet is noticeably lighter than other skillets. However, some reviewers aren’t impressed with its overall results or durability. The rough surface makes seasoning a little difficult, and a few reviewers claim that it has small, sharp bumps. Still, the largest complaint consumers have is the short handle that makes it difficult to maneuver. 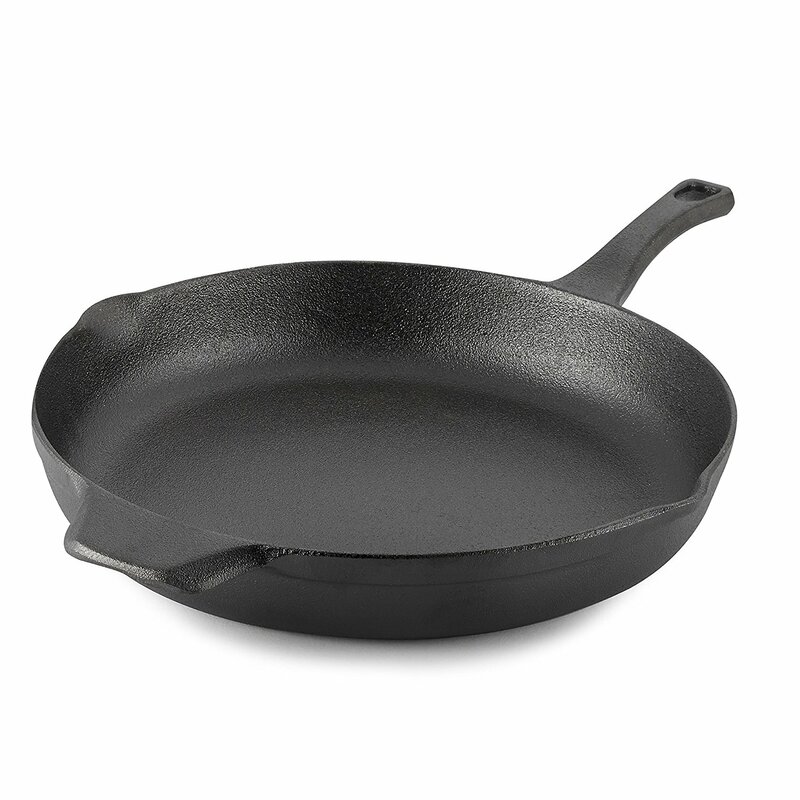 Reviewers also note that Calphalon doesn’t produce smaller cast iron skillets. The finish is rough both inside and out, and this can make it more difficult to clean and season properly. In fact, a few reviewers claim there are small, sharp bumps that can even cause minor cuts. Putting that aside, reviewers praise the Victoria skillet’s long-handle design and note that it isn’t quite as heavy as most cast iron skillets, making it easier to maneuver. Additionally, the bottom of the skillet is not always flat, meaning it won’t sit well on flat cooking surfaces. Despite any shortcomings, it is versatile and handles high heat extremely well. The loop assist handle makes it easier to move the heavy skillet, and the overall construction is durable. However, a small number of reviewers claim they received a skillet that wasn’t perfectly flat, which causes some foods to spread to the edges, making something like cooking eggs extremely difficult. Those that didn’t have this problem were happy with their purchase. 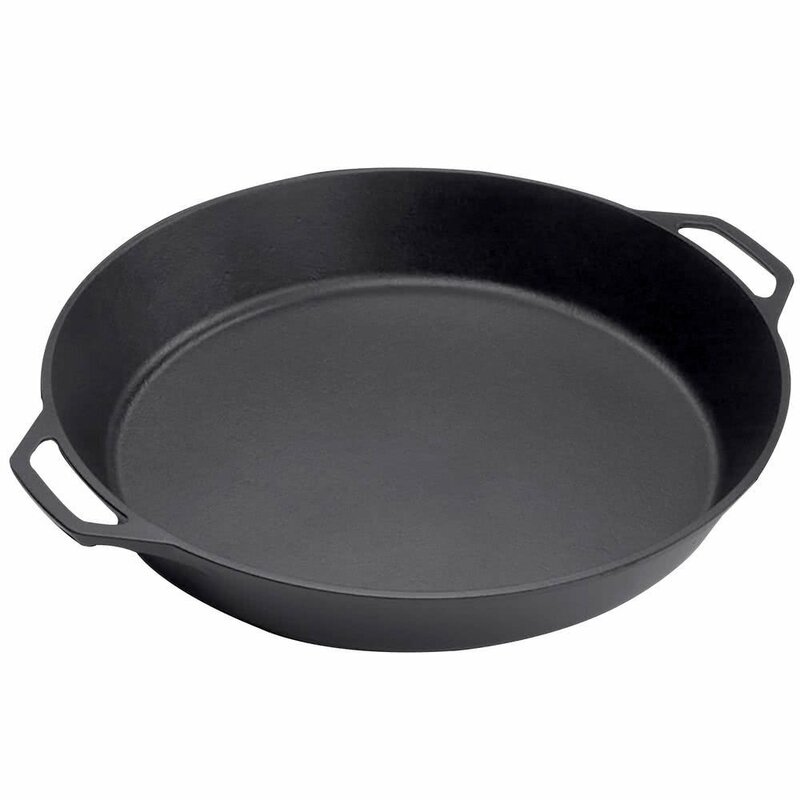 Reviewers also note that while it’s supposed to be pre-seasoned, the manufacturer recommends that this cast iron skillet receive additional seasoning prior to use, otherwise, food sticking may become a minor problem. Additionally, the rough surface makes it a little harder to season than more expensive brands, but once properly seasoned, reviewers were happy with their results. The Camp Chef offers low cost and lightweight design, which are the two things that consumers are most happy about. Unfortunately, the rough finish makes it difficult to cook certain foods without large quantities of oil, and the logo on the bottom may cause the skillet to rest unevenly on electric burners. However, it comes with two pour spouts to allow for easy draining, and it is relatively lightweight in comparison to many cast iron skillets, which makes it easier to transport. Its low price tag makes it a decent buy, and it receives praise from several reviewers as a great camping skillet. 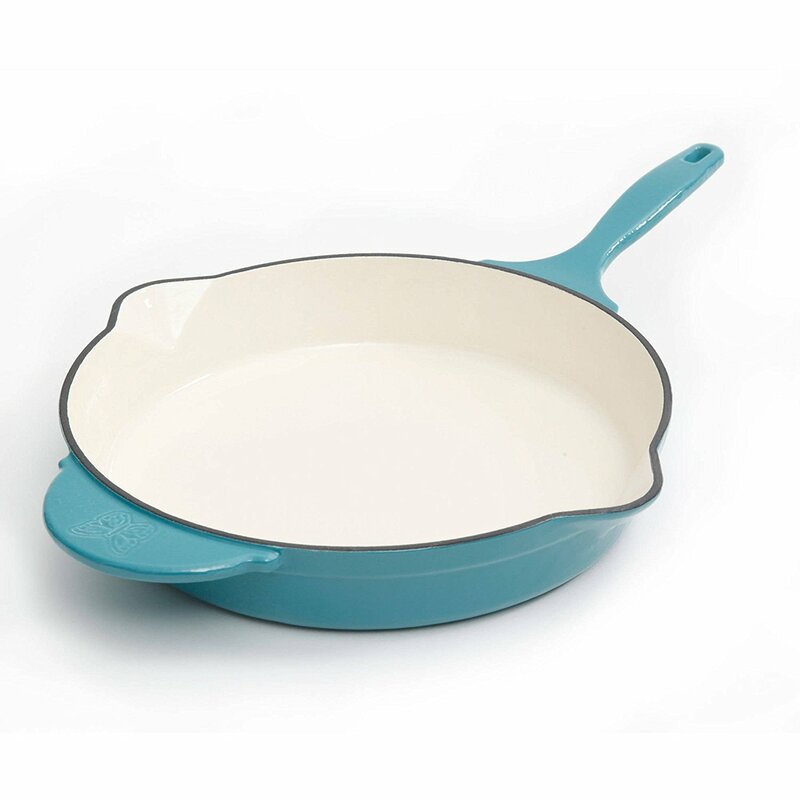 The Le Creuset enamel cast iron skillet marries rugged durability and a beautiful finish. Also, it comes in a wide variety of color options, and it’s considered to be a very high-end product. With a hefty price tag comes some benefits unseen in many other cast iron skillets. Most impressively, the special enamel coating actually makes the skillet dishwasher safe. Additionally, the loop-design handle keeps the weight a bit lower than most cast iron skillets. However, reviewers note that there isn’t a lid that specifically fits it, but a sheet pan can be used as a quick substitute. The 11.75” size is suitable for most needs, and the 10.25” option is a little easier to handle when cooking smaller meals. With a porcelain surface, these Lodge enameled cast iron skillets eliminate the need to season the pan. The porcelain surface also allows for easier cleanup than traditional cast iron, and the exterior enamel allows for use on a glass stovetop without the worry of scratches and the overall heat retention is impressive. That said, reviewers claim that the enamel will start to chip much sooner than expected, and the rough coating makes for some loss of non-stick properties, and several reviewers suggest using oils or fats to reduce the problem. Furthermore, it is heavier than most similarly sized skillets, but the cast iron itself is very durable. While the attractive design allows for some color options, there isn’t a lid specifically designed for this model, but most reviewers claim that Lodge’s 12” Dutch oven lid works just fine. This skillet offers the ability to cook larger meals, and the enamel allows for most food debris to be easily cleaned. However, some consumers report that the non-stick claims are inaccurate, which means more oil or other fats are sometimes needed to keep foods from sticking while cooking. Also, while the price point is reasonable, there are very little options for lids or other accessories for this skillet. However, the attractive design comes in the following color options: plum, turquoise and linen white. 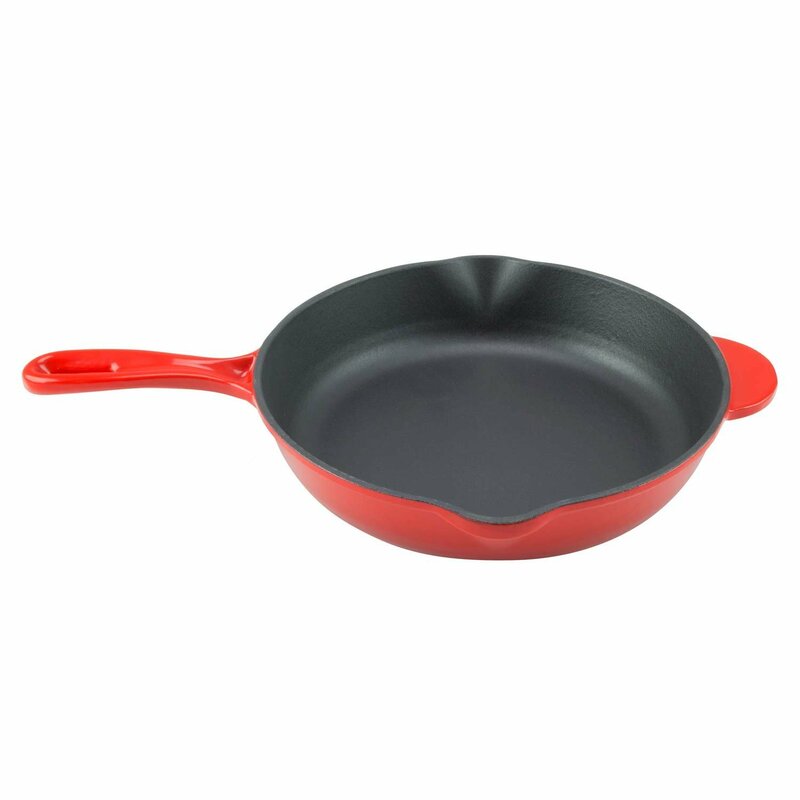 Though color options are a nice touch, a small number of reviewers claim that the enamel will start to chip on the outside of the skillet after repeated use. While the Staub comes with a high price point, many reviewers claim that it offers a solid value thanks to the expertly pre-seasoned enamel that allows for quick cooking and non-stick performance. Perhaps more impressive is the fact that, according to the manufacturer, it is dishwasher safe, which makes for easier clean up. Also of note, the enamel helps to eliminate issues with rust and scratching glass top convection stoves, and pour spouts on each side allow for easy draining of excess fats or removing certain foods for serving or storage. Unfortunately, there’s no lid that fits this skillet perfectly. The use of enamel eliminates the need for seasoning the Zelancio, but a few reviewers claim that it is not truly non-stick and often requires the use of oil or other fats when cooking. However, it doesn’t scratch glass cooktops like traditional cast iron or stainless steel. Unlike most cast iron skillets, the manufacturer suggests using it only with low to medium heat, meaning it’s not extremely versatile. To add to this, reviewers claim that the enamel may begin to chip, especially if special care isn’t taken to keep it away from other pans or high heats. The overall heavy weight makes for difficult transport too. For those that care about aesthetics, the enamel finish comes in tangerine orange, teal and cayenne red. 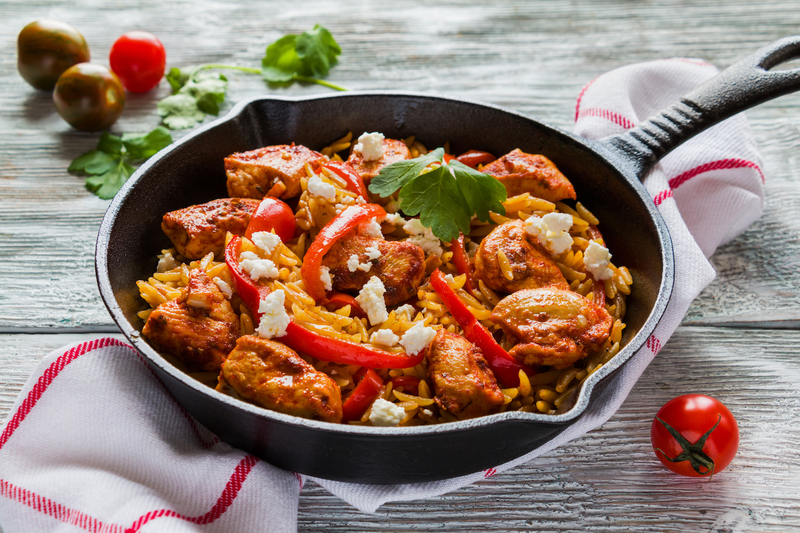 Taking the wide variety of cast iron skillets available on the market into consideration, consumers appear to worry most about price and performance. While there were many other considerations, these were never considered “deal breakers” in the thousands of reviews we analyzed. We have determined the favourite choices for each of the categories. For traditional cast iron skillets, the Lodge Classic Cast Iron Skillet is extremely affordable, receives the most praise and allows for a large range of size options. In particular, reviewers are fond of the 12” model (L10SK3) for its balance between size and weight. If you need a larger traditional cast iron skillet, the 17” Lodge 17L17SK3 offers two large loop handle, which makes it easy to maneuver. 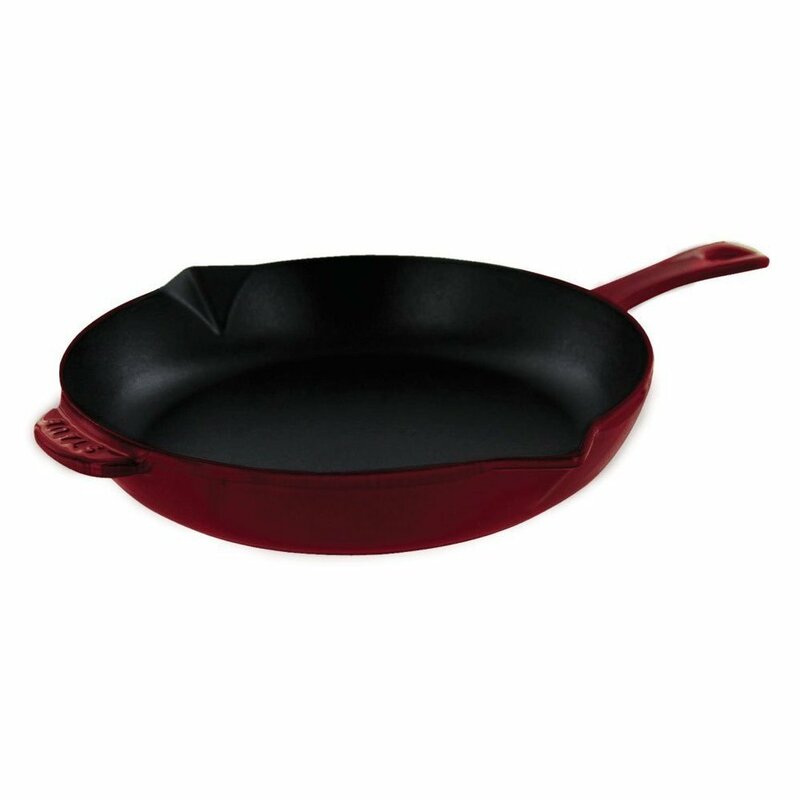 In the enamel cast iron category, a top choice is the Le Creuset LS2024, especially the 12.5” size option. While it doesn’t have a lid designed to fit it specifically, consumers regularly claim it as the best enamel cast iron skillet they’ve ever cooked on. The lightweight and elegant design fits higher-end kitchens beautifully. 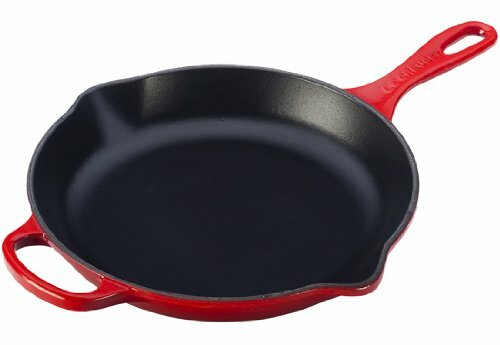 If you need an inexpensive option, unfortunately almost all inexpensive enamel cast iron skillets have quality issues with enamel wearing or chipping easily. 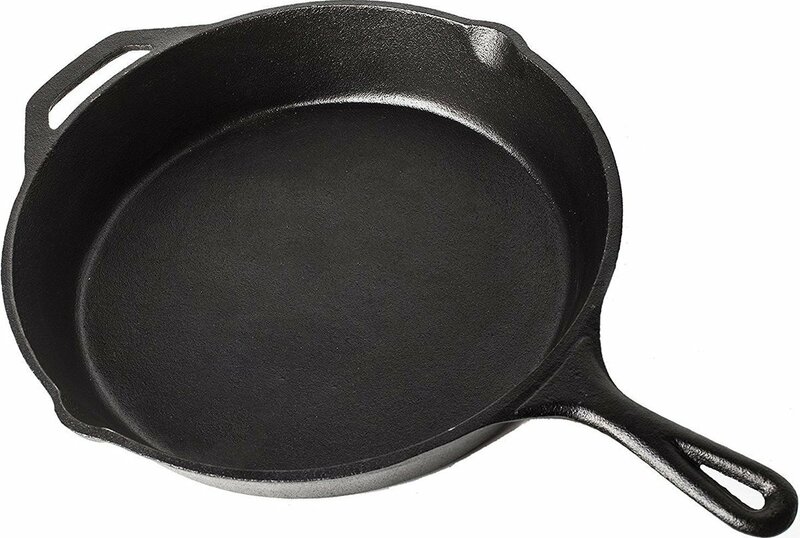 However, the Lodge EC11S43 11” enamel cast iron skillet rates well among reviewers that take extra care of their cookware. Do You Love Your Cast Iron Skillet? Do you regularly use a cast iron skillet? 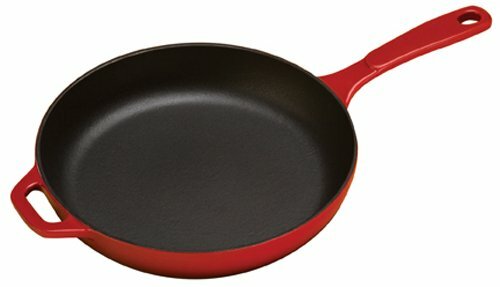 What skillet do you have, and would you recommend it to your friends and family? We’d love to hear your experiences in the comments!